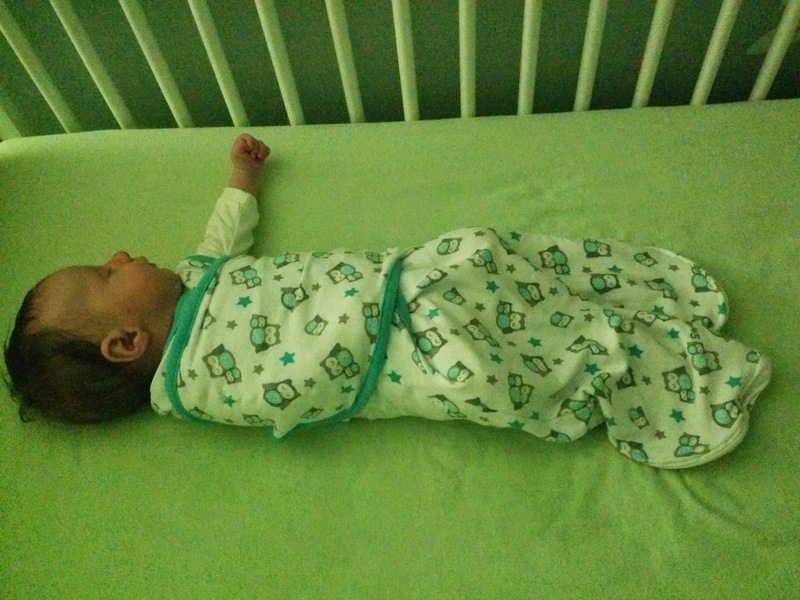 You may have seen my post on Newborn Swaddles, in which I compare all of the swaddles I tried on my newborn. Well, now that my son has outgrown all of our swaddles, I was able to go out and purchase any swaddle of my liking! It's a bit wide, as we purchased the size Large which is designed for babies 14lbs+ and Wyatt is just under 11lbs. However, after a wash and a trip to the dryer, its actually not much wider than the HALO newborn swaddle we've been using up until now, and we're still able to tie him tightly enough in it for it to be safe. Here he is peacefully sleeping with one arm out. We never really needed to constrain his legs, so I think we would have loved this swaddle in a size small when he was born, assuming that the size would fit as nicely as the SwaddleMe.